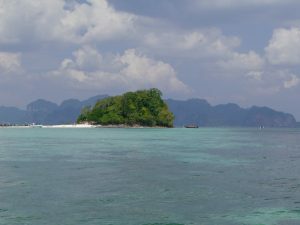 Tup Island is a small rocky island ringed by coral sand and linked to Chicken Island at low tide by a sandbar. 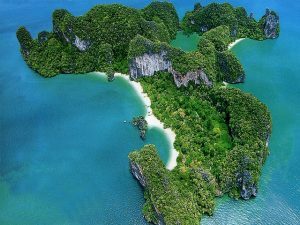 A great place for swimming and snorkelling. 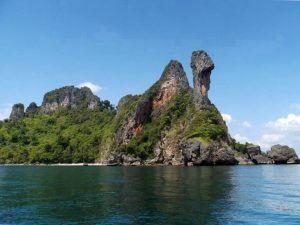 The amazing limestone pillar made famous in the James Bond 007 film "The Man With The Golden Gun". 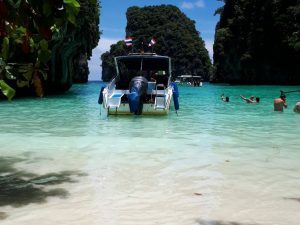 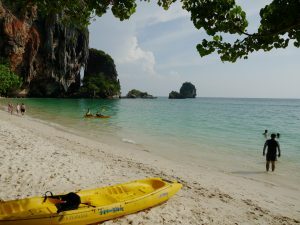 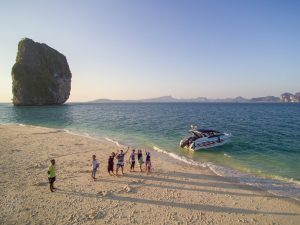 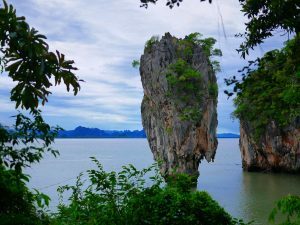 Wide sandy beaches and great views of Krabi from Poda Island. 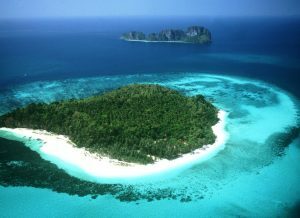 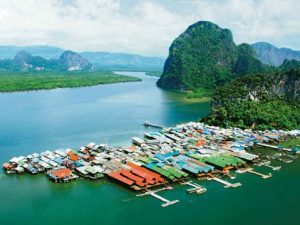 The island that looks like a Chicken - it also has great beaches and amazing views.